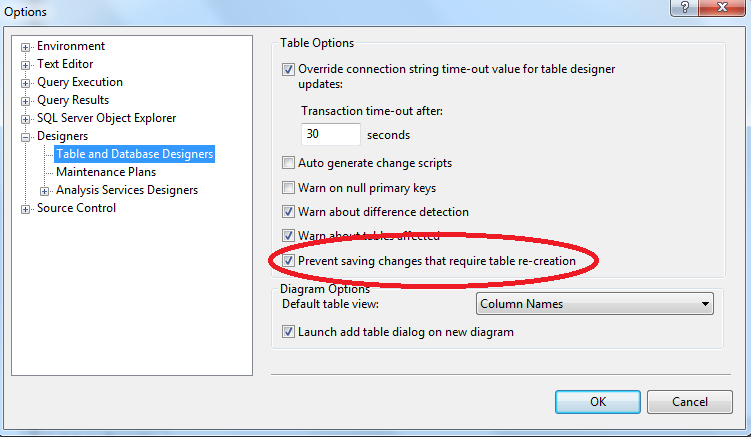 script the changes and and run script in query window (or) At least review the script before you save changes using SSMS. When you use SQLDMO ??? error cs2001: Source file ‘C:\Windows\Temp\tt3xxx-n.0.cs’ could not be found. Resolution: TEMP is pointing to invalid location. Check if TEMP and TMP is defined properly in environment variables. How to run checkdb on all databases ?